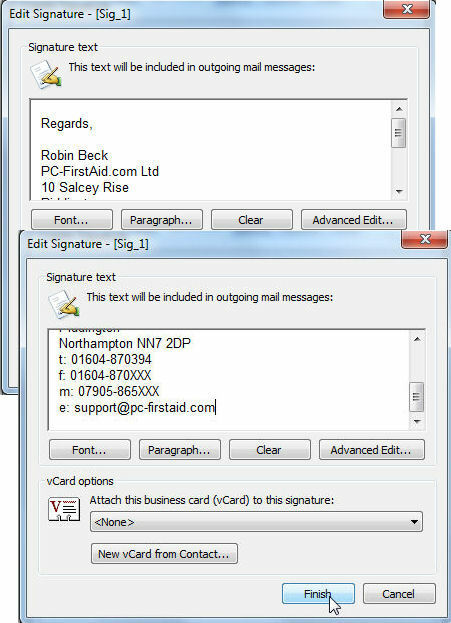 If you're using Outlook 2003 and run a small business, you may prefer all your sent emails to include a "signature line". 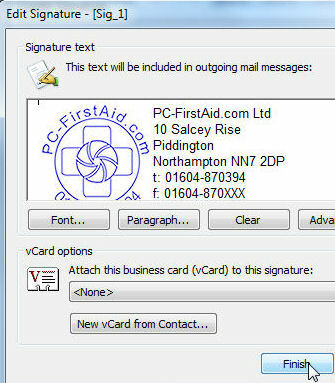 This is not normally a real signature in the literal sense; in this context it refers to a standard body of text which usually includes your name as well as that of your company, complete with address, phone number and other contact details. This "How To" will describe the steps involved in creating such a signature, as well as what to do to include your company logo as well if you wish to do so. 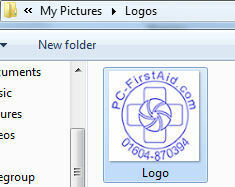 Start by creating a suitable image file in a folder called "Logos" in your My Pictures folder. Typically this will be an image file of around 100 pixels square in bmp or jpg format - you may have to experiment with different image sizes to get it right. 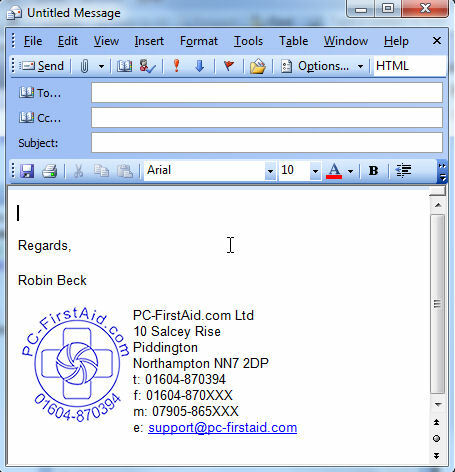 Open Outlook 2003 and go to Tools | Options | Mail Format. In the Signatures section, click on Signatures. 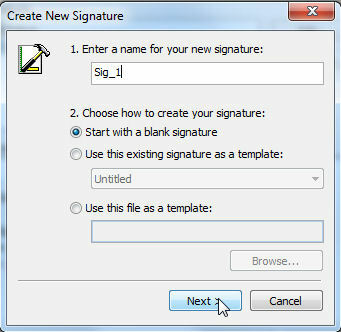 In the next dialog box, click on New, and in the following box type in a name for the new signature, choose "Start with a blank signature", and click on Next. Type in your signature text as appropriate. If no logo is required, click on Finish and proceed to Step 10 below. 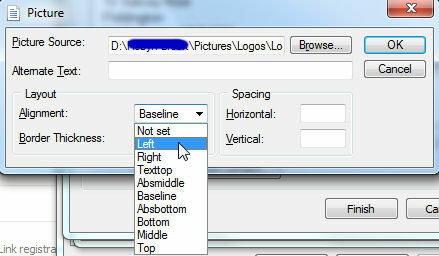 Otherwise position your cursor where the logo is to be located, right-click and select Insert Image. In the next dialog box, click on Finish. 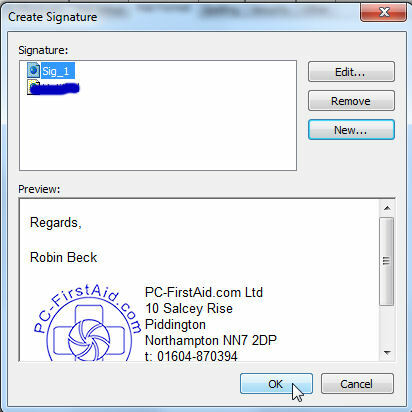 The completed signature is shown in the next dialog box; if required you can click on Edit to make further changes. 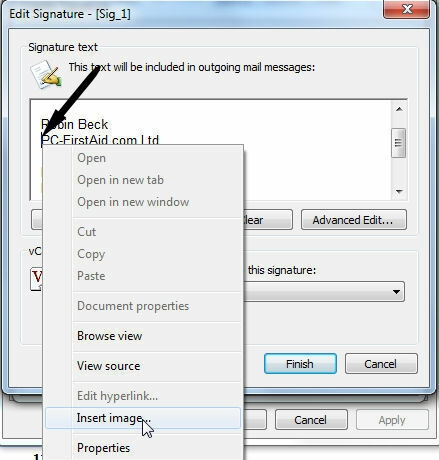 Otherwise click on OK.
Back in the Outlook main screen, create a new email and check that the signature is OK. Choose an existing email and select Reply; again check that the signature is correct.